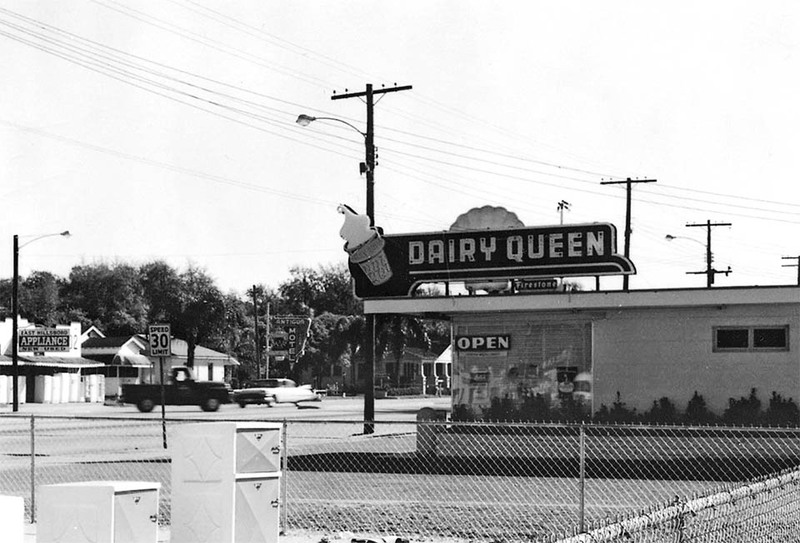 This Dairy Queen was located on East Hillsborough Ave between Nebraska and 15th Street in Seminole Heights. The historic photo was taken in 1959 by the Cinchett Neon Sign Company for the neon sign they built and installed on the roof. This building and sign was very similar to another location located on Nebraska Avenue in Sulphur Springs. 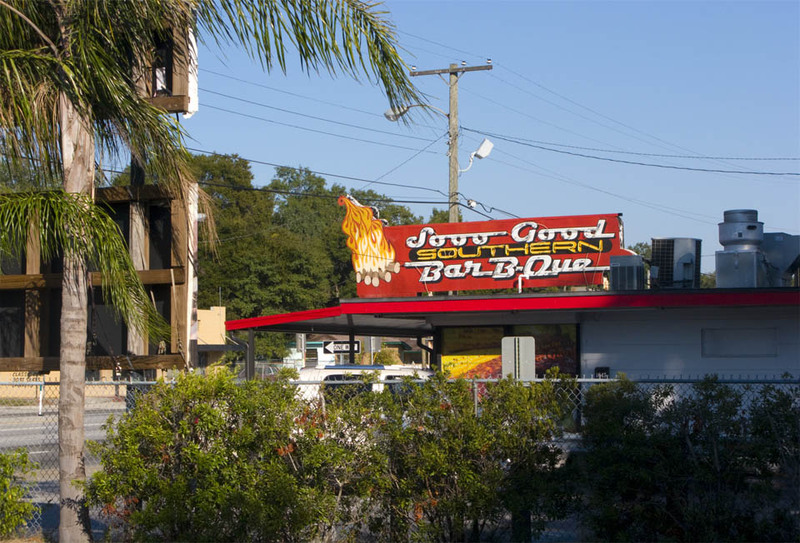 The building pictured here still stands today, and the sign also has survived although it has modified for the Sooo Good Southern Bar-B-Que restaurant that now occupies the building. Rather appropriate that Dairy Queen became “Sooo Good”! The Bar-B-Que is pretty good too! These photos are great, Bryan. I really like what you are doing here. I did not realize the Antigua Motel had been there for so long. Thank you very much. A lot of the buildings I have re-photographed end up being much older than I had ever expected. I Robert Addison & Robert Pielow worked at the Dairy Queen in 1957 & 1958 .I lived on Giddens ave directly behind the Dairy Queen. Mr. Braneur owned the DQ. The Dairy Queen was actually owned by Mr. Brauner and one of his sons who worked there for many years was named Steve. He actually took it over after his father had retired. Often times many of us from Hillsborough High School would go there after football games . Class of 76, 77, and 78.